Stop trying to make biking in wilderness happen. It’s not going to happen. I shouldn’t be writing this, and you shouldn’t be reading it. Far more pressing issues face our public lands. But a vocal minority is drudging up the long-resolved question of mountain biking in wilderness. They have even drafted a bill for somebody to introduce in Congress — the Human-Powered Wildlands Travel Management Act — that would open wilderness to biking. That means we have to pause and rehash the facts. First, no legal argument supports biking in wilderness. Unambiguously, the 1964 Wilderness Act states there shall be no “form of mechanical transport” in wilderness areas. The discussion should end there, but a few claim that “mechanical transport” somehow does not include bicycles. They allege that the law unintentionally excluded an activity that emerged after it was enacted. Or they tout an early Forest Service misinterpretation of the law, which initially allowed bicycles in wilderness but was corrected over 30 years ago. The technology part is important. The framers of the Wilderness Act knew human ingenuity was not somehow petering out in 1964. In fact, they lived in an era of fantastic invention. Forms of transport being tested at the time included jetpacks, gliders, aerocycles, and various new wagons, boats and bicycles. Mountain biking in the Arizona desert. Bike access has been a divisive issue across the West for years. One last thing to consider is the issue’s scale. The wilderness system is limited to roughly 53 million acres outside Alaska. Smaller than Colorado, that portion is scattered across 43 states. And while most of the land is in the West, most of it is also rugged and unbikable. Meanwhile, hundreds of millions of acres remain open to biking. Still, some will demand that bikes be permitted in wilderness. And they will join logging, mining, off-roading, and other interests in whittling away at the boundaries of pending wilderness proposals. At a time when so many more serious issues confront our lands –– climate change, ocean acidification, plastics pollution, sprawl and much more –– it seems a misguided use of energy. 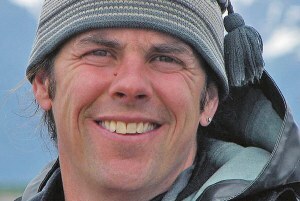 Tim Lydon is a contributor to Writers on the Range, the opinion service of High Country News. He writes from Girdwood, Alaska. It’s inevitable. There will be bikes in wilderness.